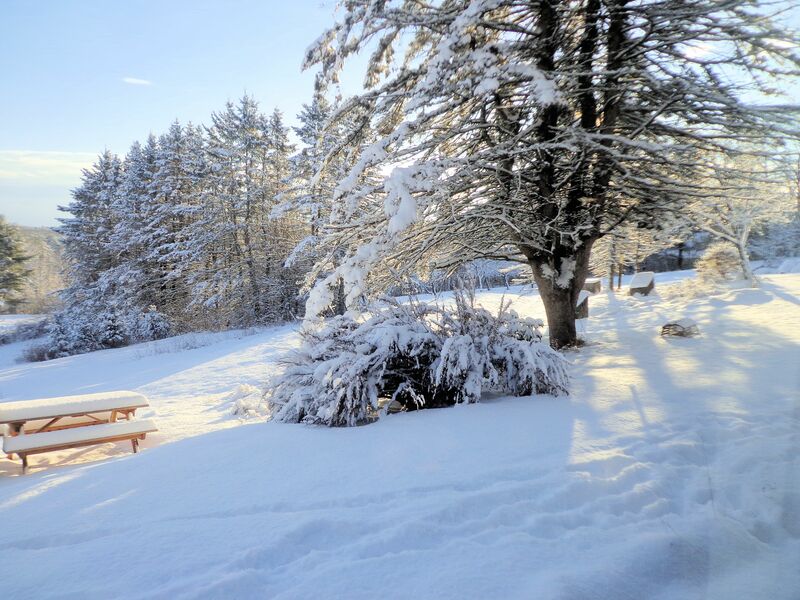 Overnight we received the first measurable snow of the winter. I’d guess it’s about 7″. The stuff really came down for a few hours. I especially like the way the heavy snowfall dampens the sound of traffic on the road running past the farm. After a while, the highway empties and the road noise of any stray slow moving vehicle is muffled. I can almost imagine we live in the country and not beside what has become, in my lifetime, a major thoroughfare. This may look chilly, and the ground beneath is frozen, but the air temperature is nearing 32F. 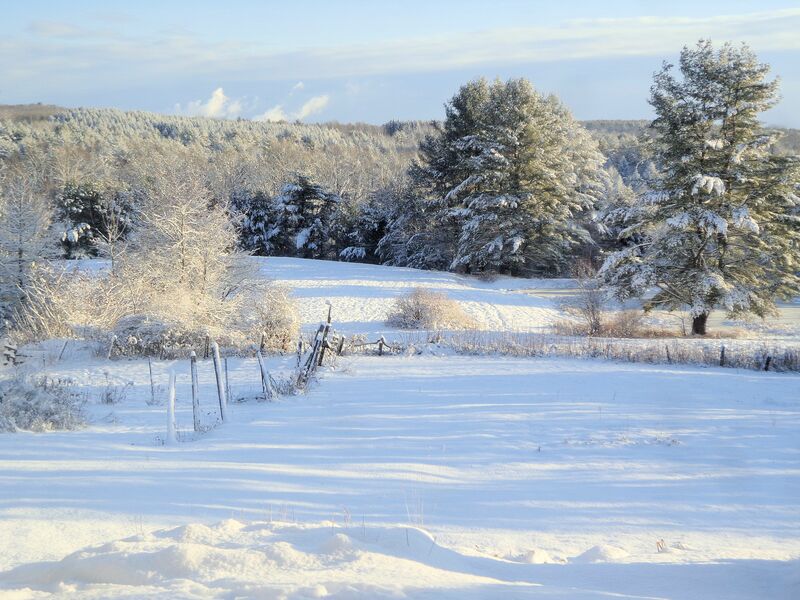 With a ten-day high of 38F forecast for today, it looks like the snow may be here to stay. Next week the weather prognosticators call for more snow. Several days of snow. Yesterday my husband and I worked from mid-morning till near dark to finish all the little chores that must be done before snow arrives. We sat, smugly content, and watched the white pile up. Now I look forward to a long winter’s rest disturbed only by a few barn chores, some snow plowing and the occasional jaunt outside for cold weather exercise. 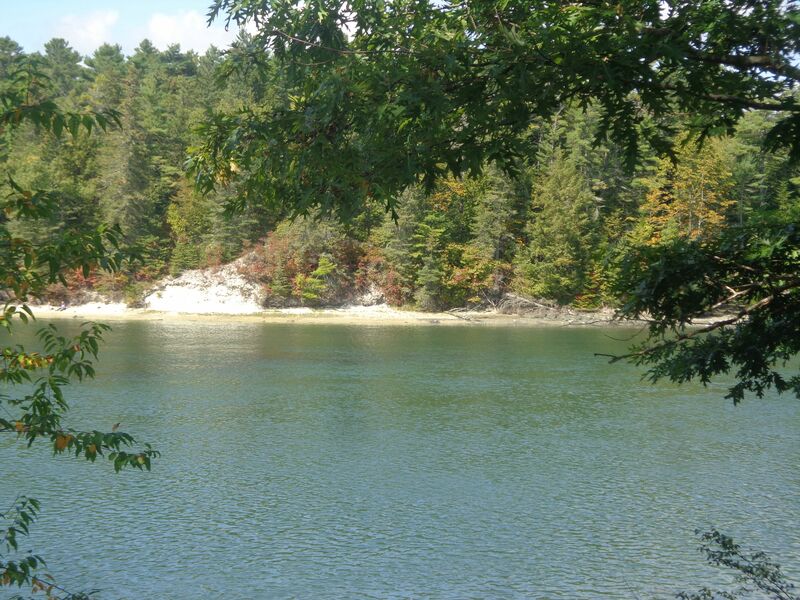 Just off Route 1 in Damariscotta, Maine, where the road crosses the river, the remains of prehistoric shell piles are visible. A quiet little place named Whaleback Shell Midden State Historic Site awaits visitors on any day of the year. A five minute walk from the parking lot to the river side brings a visitor to what remains of a giant pile of mostly oyster shells left by prehistoric Mainers. The pile was created between 2200-1000 years ago. At its extreme, the mound was once up to thirty feet deep and extended over 400 feet up from the river. All these shells are the evidence of more than a thousand years of Native American feasts. 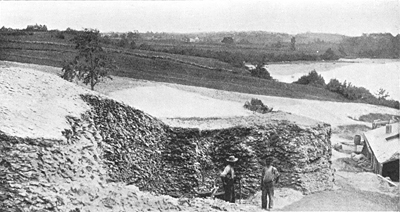 The photo above is from the State of Maine Bureau of Parks and Lands website, showing the Whaleback Midden in 1886 after mining had begun. The pile got its name from the striking resemblance to the back of a whale, probably a humpback. Once Europeans arrived in the late 1500s, the huge shell pile became a resource. Settlers ground the shell up to make lime and to create roadbeds. Then, at the end of the nineteenth century, full scale mining of the site commenced. The huge pile of shells was ground up for chicken feed supplement. What remains today was preserved beneath the mining buildings. There are still a lot of shells in the area! I picked up pieces of oyster shell and considered that the last person to touch this before me may have been a prehistoric native. When the shell pile was mined, an historian did his best to record what was discovered during excavations. The remains of fourteen humans were found and several dogs. Artifacts such as painted pottery, stone tools and weapons, and many animal bones were turned up. The natives apparently also consumed various mammals, fish and birds in addition to oysters by the canoe-load. Some of the oyster shells were over a foot long! It has been determined that most of the shellfish feasting took place in the winter and early spring. 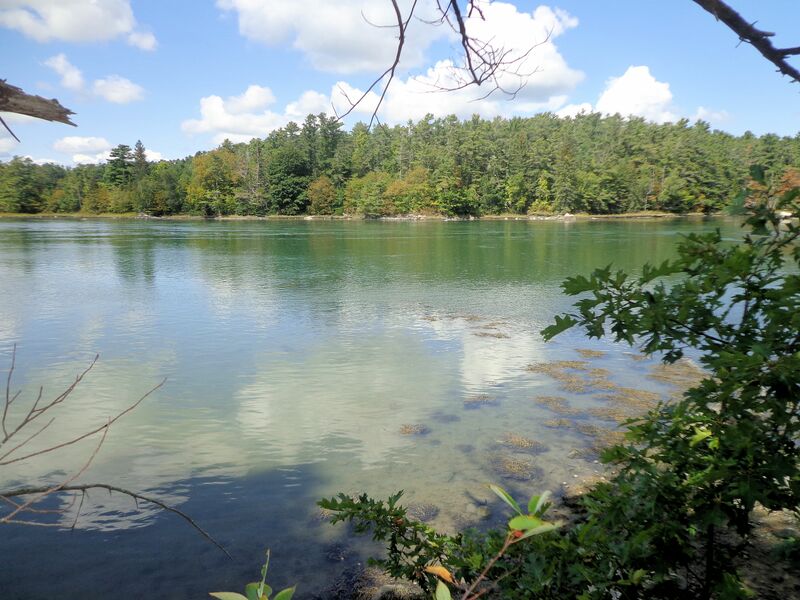 The Damariscotta River in this area is brackish and tidal. 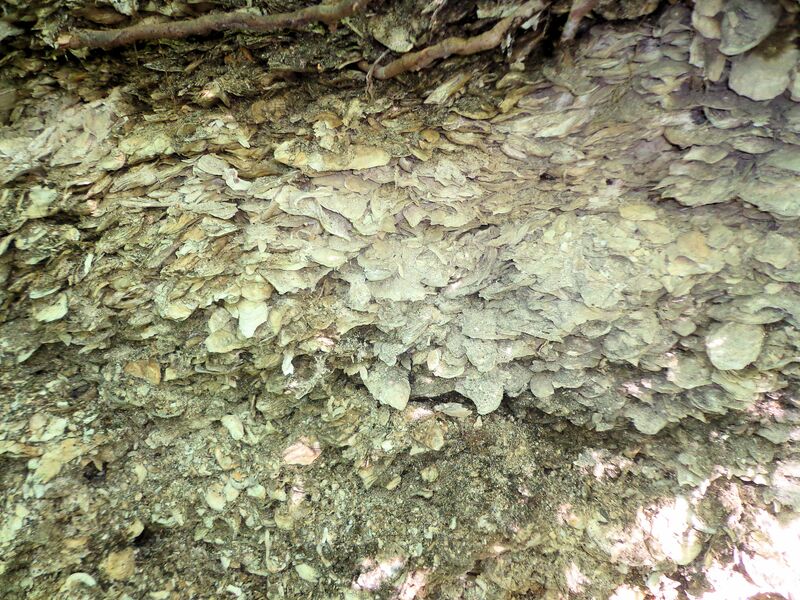 During the midden period the river was less saline and home to what seems a massive oyster bed. Today the water has a higher salt content and no longer supports oysters. It is still a beautiful waterbody rich in aquatic life. 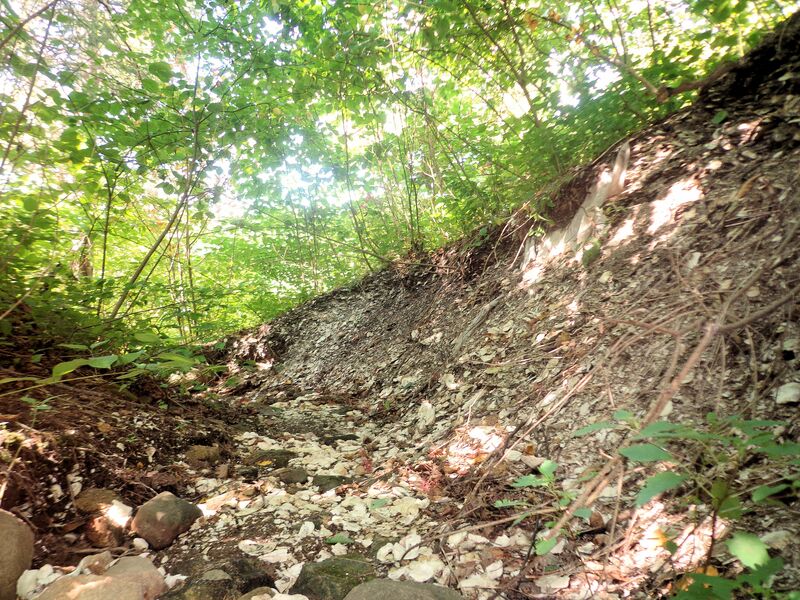 Directly across the river from Whaleback Midden is another huge pile of oyster shells that is untouched since the days of the native mollusk eaters. 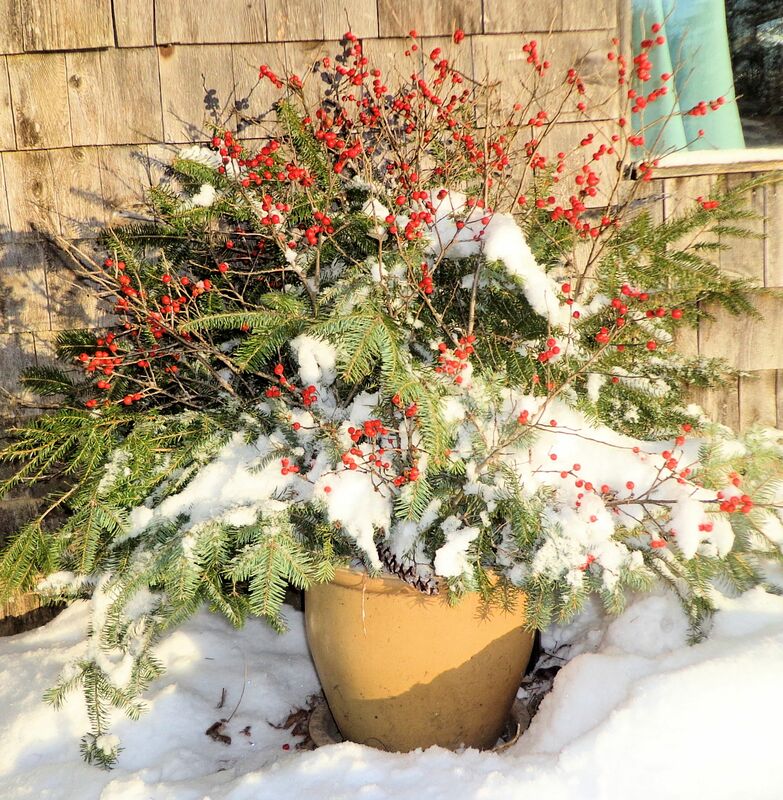 Glidden Midden (I kid you not!) is on private land and so far unsullied. The bright white of the shells sets up a blinding glare in the sunlight. Most of the pile is overgrown with trees.